I know, I know. 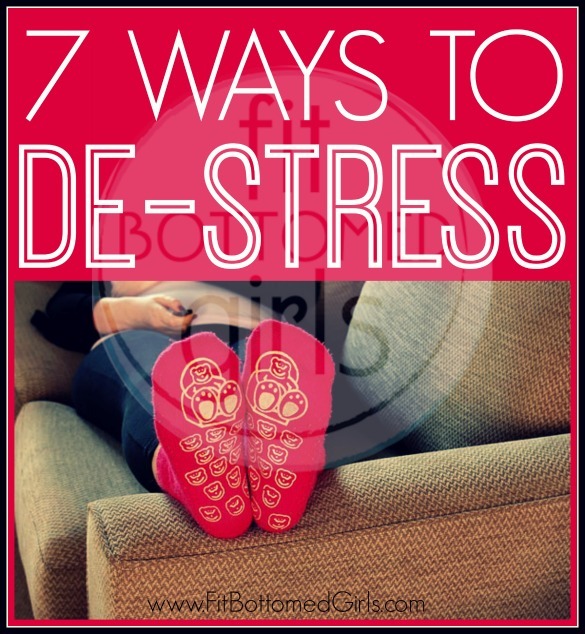 You don’t have time to de-stress. Well, you think you don’t have time. But you do. Because taking time to relax is not only imperative (Ever run yourself ragged only to get sick shortly thereafter and be forced to rest? Yep, that’s what we’re talking about), but when you do regularly take a few minutes here and there every day to de-stress, you actually preserve your energy, allowing you to get more done in less time. So when I saw these stress-management tips from Kathy Gruver, author of Conquer Your Stress With Mind/Body Techniques over on Fit Bottomed Mamas the other day, I knew we just had to share them on FBG, too. Not to mention that her take on stress — about how it’s actually more about perception than anything else — is brilliant.